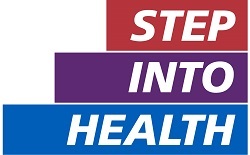 The Step into Health programme is an incredible opportunity in which employers are working with the Armed Forces Community to provide career and development opportunities within the NHS. It allows all service leavers and veterans and their spouse/partner to refer themselves to supportive NHS organisations that have signed up to the initiative, thereby accessing employment in the NHS. Whether you are interested in catering, maintenance, administration, finance, communications, management, a role in one of the clinical services and more, this programme will benefit you. The NHS is keen to invite you to explore your transferable skills and the potential training and career opportunities available. As individual employers provide the support users will need to contact them directly via this list. More than 50 organisations have signed up and the number is growing.